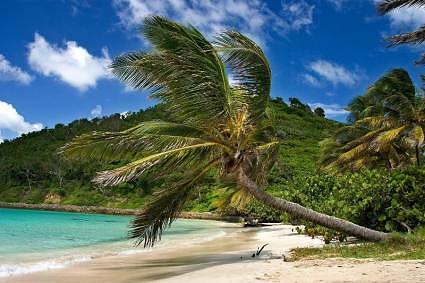 Definitely a “secret” island of the Caribbean, Mayreau Island is part of the nation of St. Vincent and the Grenadines, and the smallest island of this nation at only 1.5 square miles with 300 residents. 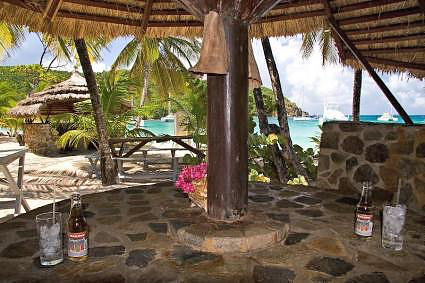 Be sure to visit this island on a crewed yacht charter in the Grenadines for a taste of the Caribbean of yesteryear, now found only in certain tucked away spots. Only able to be visited by boat, visiting by crewed yacht charter is a great way to see this small little island virtually isolated in the 19th century. The main village of on the island is Old Wall, where most of the residents live. Old Wall is on the southwest end of the island and is comprised of a school for grades 1 – 6, the brick and stone Catholic Church of the Immaculate Conception with beautiful stained-glass windows, a Pentecostal church. and one main road. Electricity was only brought to the island in 2002. After 6th grade, to continue schooling, children of Mayreau must go to either Union Island or St. Vincent Island. In the center of the island is a salt pond, from which the locals once harvested and exported salt. Today, while salt is still harvested, it is now for local use only as the residents of today now make a living from fishing and tourism. Most of Mayreau is still privately owned by the Eustace family who inherited the island from the Saint Hilaire family through marriage. 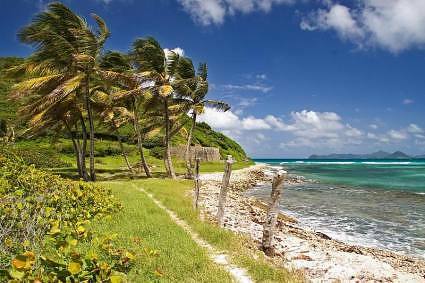 The Saint Hilaire family settled on this island after fleeing France during the Napoleonic wars and here grew Sea Island Cotton and cocoa. The locals farmed the land, on a system of land tenure, involving paying a share of profits to the Saint Hilaire family in return for the use of the land for farming and a place to build a home. 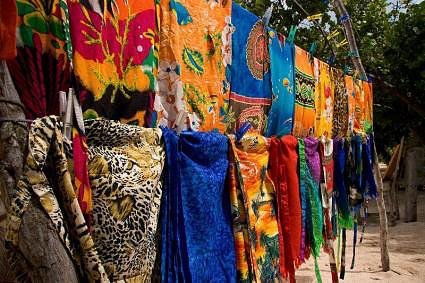 There is one resort on Mayreau island in Saltwhistle Bay, a popular anchorage for visiting yachtsmen, called the Saltwhistle Bay Club. The Saltwhistle Bay Club, with 10 rooms for overnight accommodation, welcomes visiting yachtsmen. The anchorage in Saltwhistle Bay has lovely crystal-clear water over a sandy bottom. This is a great location for swimming. The Club also has a beach side restaurant and bar. 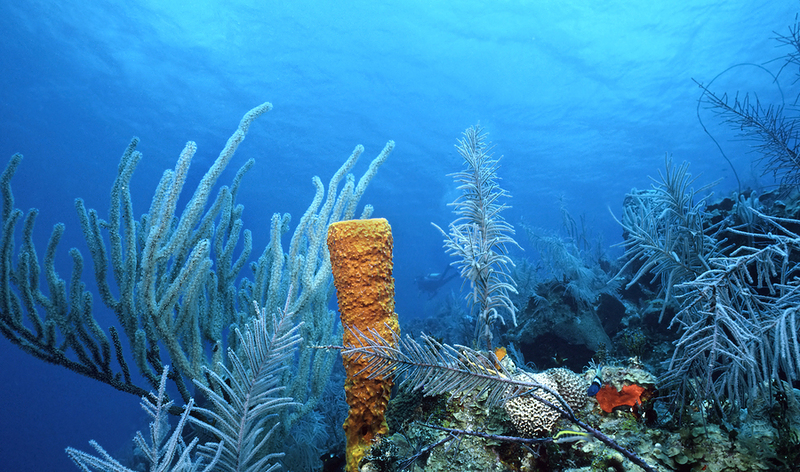 Mayreau Gardens: These are underwater coral gardens just off the beach. Here is excellent snorkeling and scuba diving, along with swimming with sea turtles and possibly, depending on the day, friendly dolphins. Saltwhistle Bay Club: Enjoy the beach side restaurant or perhaps just a cooling drink at the bar. Here you are sure to meet other yachtsmen from various parts of the world, arriving and departing this tiny isle, just as people have for centuries, by boat. 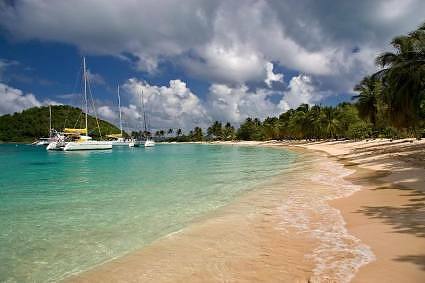 While the smallest island in the Grenadines, surrounding Mayreau are some of the best coral reefs in the Grenadines offering outstanding snorkeling and diving. Visit for a glimpse of the past, very friendly locals, and a lovely anchorage in Saltwhistle Bay. Spend time ashore absorbing the ambiance of this Caribbean Island of yesterday, and enjoy snorkeling and swimming on the great surrounding reefs.